With buildable coverage and a soft matte finish, this lightweight foundation leaves skin feeling soothed and hydrated. It's also formulated with maximum level strength salicylic acid acne treatment to help clear blemishes and prevent new breakouts from emerging. Available in 14 shades. Almay Clear Complexion Makeup is great for acne-prone, oily and combination skin. It's Hypoallergenic, Fragrance free, Non-comedogenic and Doctor tested. A little note: I was given (for review) a foundation shade that was much darker than my skin tone. That being said, this review will not be a full review in terms of long-term wear but I will provide key points on everything else. Almay Clear Complexion Makeup was able to smooth out my skin and even the skin tone. 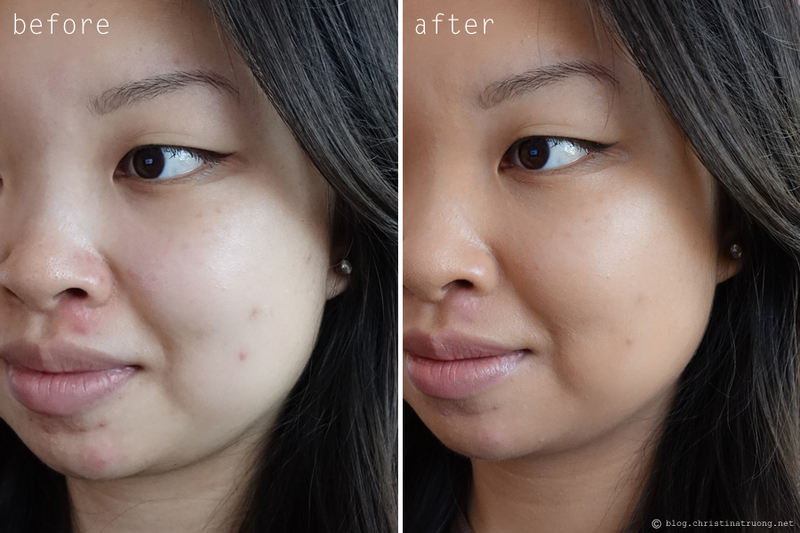 Coverage-wise, I would say it's a good medium coverage, it did manage to cover the redness and reduce the appearance of my acne and acne scars. The foundation felt lightweight on the skin and smooth to the touch. It provided an almost matte finish but didn't feel or look cakey whatsoever. Although I can't comment on the long-term wear, this is still a great product if you're acne prone and are looking for a makeup foundation that will help with your skin. Because there's salicylic acid, I'm sure with often wear, it'll slowly help clear up the skin. Personally, I'd rather go through my skincare routine (which includes salicylic acid) before applying makeup but understandably not everyone has the time or commitment, so Almay Clear Complexion Makeup would be the next best quick 2-in-1 solution. What are your thoughts on Almay Clear Complexion Makeup Foundation? Have you tried a makeup product that included an ingredient that combated your skincare problems - if so, what was the product?